Dr. Parseghian received his medical degree from Damascus University Medical School in Damascus, Syria. He completed his internship in internal medicine at the Marshall University School of Medicine in West Virginia and his residency in internal medicine at Long Island College Hospital in New York. Dr. Parseghian also completed a medical fellowship in endocrinology and metabolism at Saint Louis University in Saint Louis, Missouri. 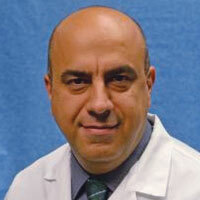 Dr. Parseghian specializes in caring for patients with diabetes and metabolic disorders. Additionally, he is fluent in Armenian, Arabic and French languages.